If we judge a country’s soccer success by comparing the number of players to the size of its population, Uruguay is, by far, the greatest soccer nation in the world. 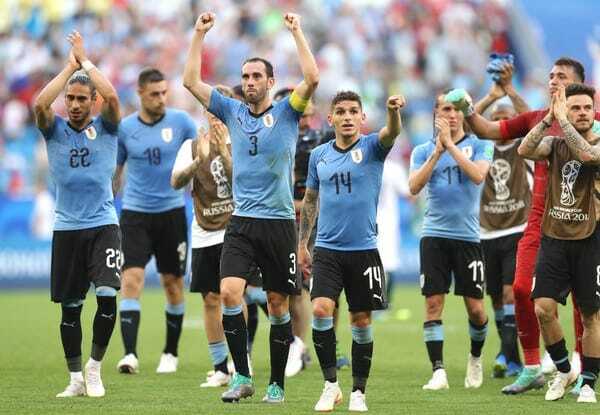 With less than 3.5 million people, Uruguay has the smallest population of any World Cup winning country. How small is it compared to other winning countries? Next on the list is Argentina, with a population more than 12 times that of its South American neighbor. Despite this small fact, Uruguay is extremely successful on the global stage, having won the World Cup twice. It’s found even more success on the continental level, winning the Copa America 15 times, more than any other country. How have they become so dominant with such a small population, and being a relatively small country? They learned how to use their size to their advantage. One of the problems national teams have is that of coordination between players that come for a short time from different clubs either around the country or around the world. With just a few weeks together, it’s tough to develop a common understanding of each other. They then go back to their clubs. Uruguay has developed a different system. The under-15 team trains together several times a week, every week. The same system applies for the older teams as well, the U19 and the U21. It is something that cannot be done in giant countries like neighboring Argentina or Brazil, where the distances are simply too big. But in Uruguay, where half of the population lives in the capital Montevideo and the trip from one place to another can be done by car or bus, it is possible. But that’s not all they do. The local federation has made it a point to convince players to stay in Uruguay until they are 21 before leaving for the big money in Europe. Some of them, of course, cannot avoid the temptation, but many do stay in Uruguay and therefore train for many years with their potential national teammates before taking on an international club career. 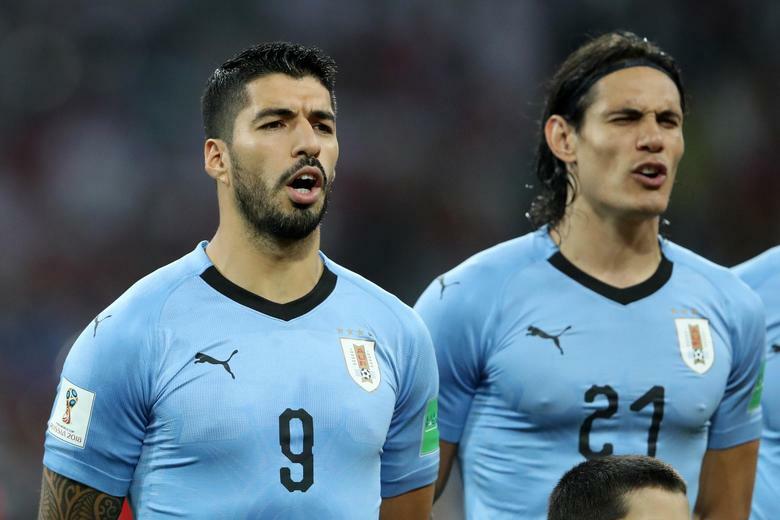 That common understanding, from training together for years, is what led to that assist by Luis Suarez to Edinson Cavani in the Round of 16 match against Portugal. Cavanni knew exactly where that cross was going, way before Suarez even put it in. Go back four years, to the previous World Cup, and you will find an almost identical goal, that time Cavani was the one who crossed in to Suarez. These two top-class strikers, who are the same age, come from the same town, and have trained together for so many years, know exactly what the other will do. That is something that can happen in Uruguay, but not in any bigger country. Uruguay has another very coordinated duo on its squad. The team with the best defense in Europe over the past few years is Atletico Madrid. That defense is unsurprisingly led by two Uruguayan central defenders, Jose Gimenez and Diego Godin. After playing for five years together for the Colchoneros, they completely understand one another. With these two being the backbone of the national team defense, it is not surprising that they have conceded just one goal in four matches so far. Neither is it surprising that Cristiano Ronaldo had his weakest match in the tournament against them; they know him inside and out after competing against him often in the Spanish league. Now this duo will face an even greater challenge, not only against a striker they know better in their own teammate Antoine Griezmann, but also dealing with the tournament’s sensation, Kylian Mbappé. So many eyebrows were raised when PSG paid 180 million Euros, more than $200 million, for an 18-year-old kid. Now everybody seems to understand why they paid such a sum. He was the mastermind of France’s giant 4:3 victory over Argentina in the Round of 16. Not only did he score two goals, but he also had that great run that led to the early French penalty. Mbappé is extremely fast and strong, but what makes him so lethal is his constant movement without the ball. He is always on the move, constantly making the defense focus on him. That is why other strikers love to play with him, he creates spaces for them. When we speak of such high quality strikers, like Griezmann and Olivier Giroux, that’s a major headache for any defense. You can ask Argentina all about that. Two gigantic strikers and two super defenders on one side, a mighty offense and a team that looks like favorites to go all the way on the other. Uruguay vs. France, this is one you do not want to miss.